This film is a documentary. It discusses the life of the Nobel Prize winning writer Toni Morrison, and it does so in a 2 hour video. This movie is an interesting documentary. It’s a biography presented in an unorthodox manner, yet it’s one that is highly appealing to modern consumer tastes. It provides snapshots into the life of a legend, and it does so while creating intrigue with every passing moment (albeit not using drama or surprise). The documentary discusses the works of Toni Morrison, and is narrated by the writer herself. Yet it is done with the directive help of Timothy Greenfield-Sanders. Sanders is world-renowned documentary creator, having interviewed many modern influential figures. He has photographed many US presidents, politicians, and done interviews with major figures like Oprah Winfrey. This documentary is a beautiful addition to his work, and it does so in a manner suitable to a modern documentary consumer. The documentary doesn’t follow a linear progression of Toni Morrison’s life. Instead, it presents Toni Morrison’s life from a recall perspective. Instead of touching on novels/books exclusively, power is given to Toni Morrison’s personal memory. The documentary gives Toni Morrison the ability to narrate pieces of her life from a first-person view. Doing so creates an intimate setting for the interview. It makes the struggles and experiences accumulated through Morrison’s life less distant. It allows the viewer to see her life experience as if they’re living it. The Power Behind the Method. A first person view isn’t all there is to the documentary layout. It also jumps back and forth between influences, personal struggles, and Toni Morrison’s culture shocks. It gives glimpses. 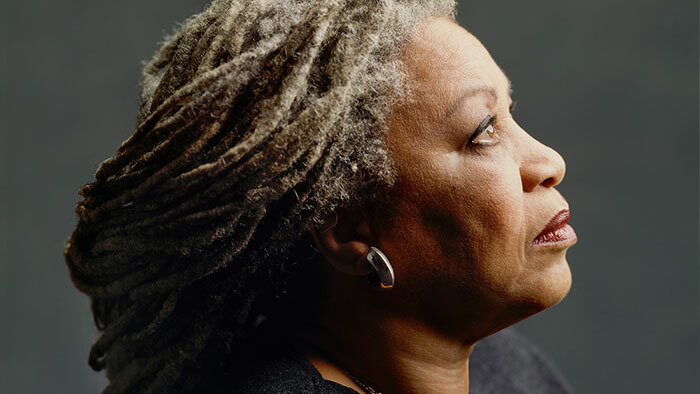 It alludes viewers by giving them peeks into Toni Morrison’s life. This lack of total detail and linearity acts as food for thought. It stimulates questions in a viewer’s mind, while providing information on who Toni Morrison is. In essence, it triggers curiosity, where the documentary itself encourages viewers to do further research, and piece her entire timeline together. In a way, the documentary is a slow teaser. It coaxes viewers into an intellectual exercise of reading and compiling the history of a legend. Yet, it does so indirectly, without hyping viewers through drama, and by maintaining Morrison’s narrative perspective. 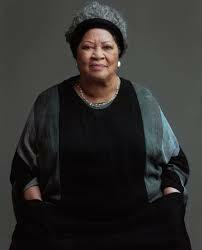 Toni Morrison was born in 1931. Thus, her life was long and rich with experience, and she herself has witnessed (and contributed) to some of America’s greatest social changes. But again, the documentary doesn’t look at those changes from an external perspective. It does so from the eyes of Toni Morrison, and this is an uncommon perspective. Through this documentary, we get to see the feelings and thought process of pre-civil rights African-Americans. This individual perspective is often ignored through most civil rights documentaries, in favor collective triumph and great social characters. But this individual perspective is necessary. It shows that the struggles of people during her time were as much humane as they were racial. Artwork aside, the documentary touches on Toni Morrison’s personal life. It describes her growing up in a family that emphasized reading, which greatly contributed to her future career orientations. It also describes Morrison’s family during that time. She gives insight into her father, his religious leanings, and his intolerance of white individuals. She also gives a glimpse into her mother’s hawkish and often supervisory attitude. Besides Morrison’s early education, her early experiences contributed to her artistic leanings, and attempt to live a freer lifestyle. However, her adult life isn’t ignored either. Morrison is seen struggling in her relationship with her husband, in an attempt to maintain a stable household. Her struggles as a mother are also archived. We see glimpses in her life that show her attempt to balance maternity, her writing aspirations, and her responsibility to feed her children. All documentaries have an educational value. But the best documentaries balance historical facts with human experience. Through “The Pieces I Am,” we see the makings of a highly successful person. And we see her grit throughout all phases of her life. Not only is it inspiring. But it also educates the average viewer into seeing the high potential a human can bring forth.